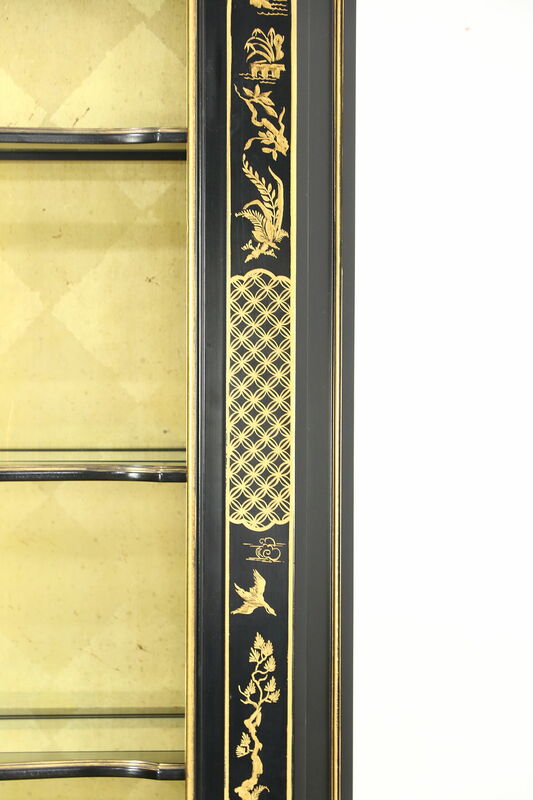 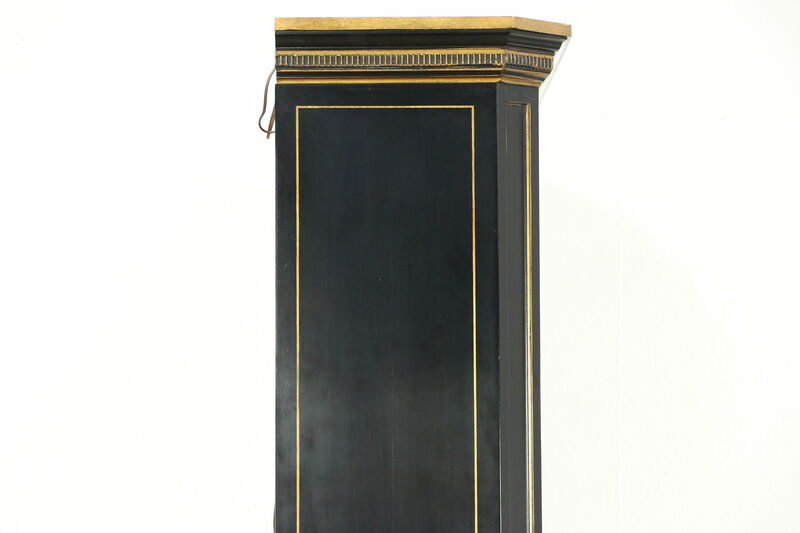 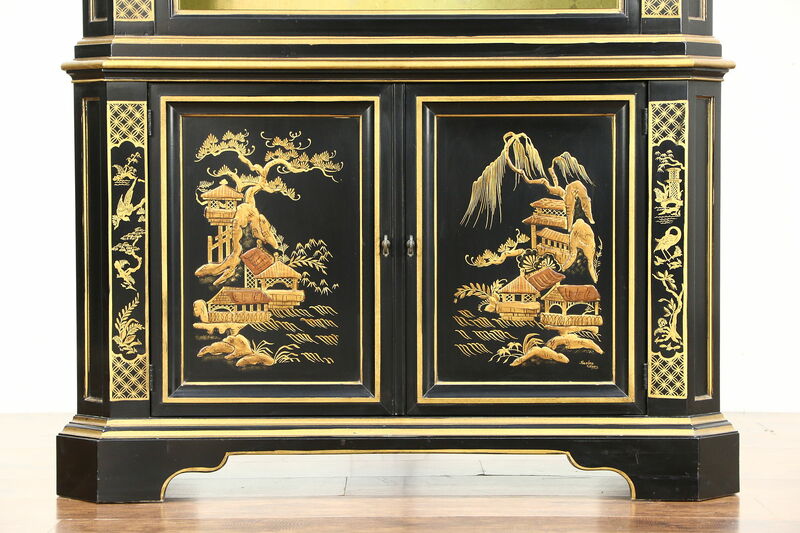 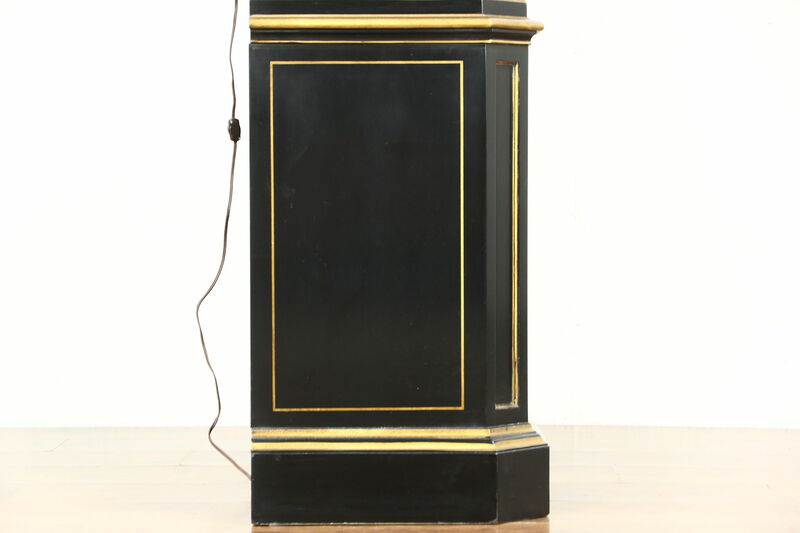 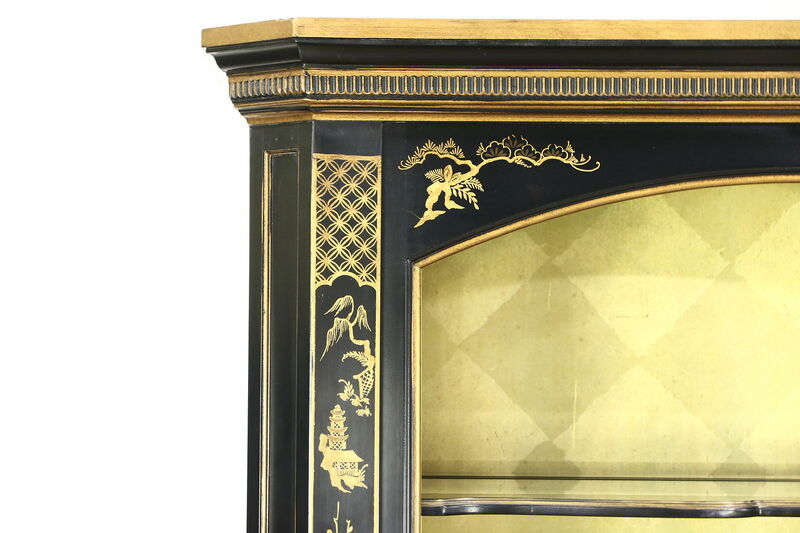 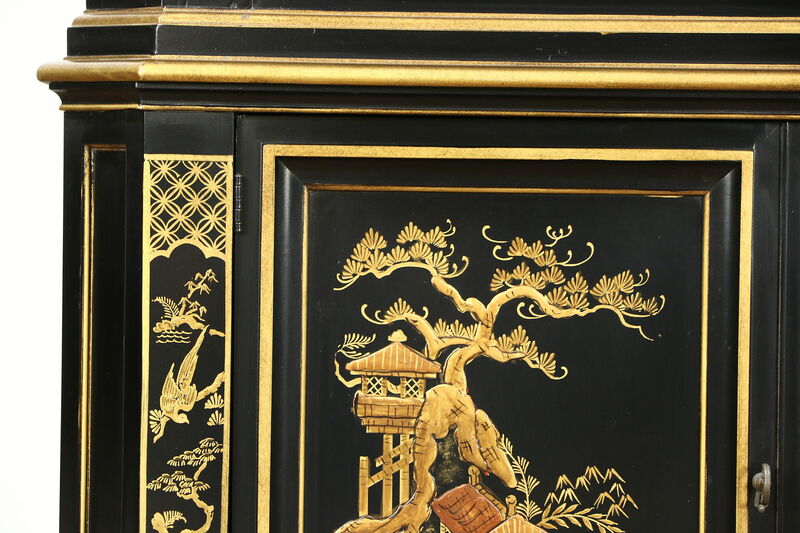 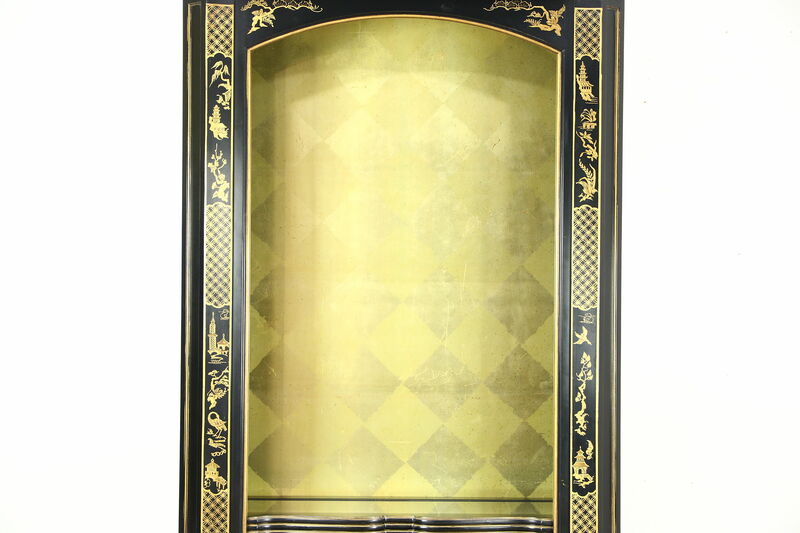 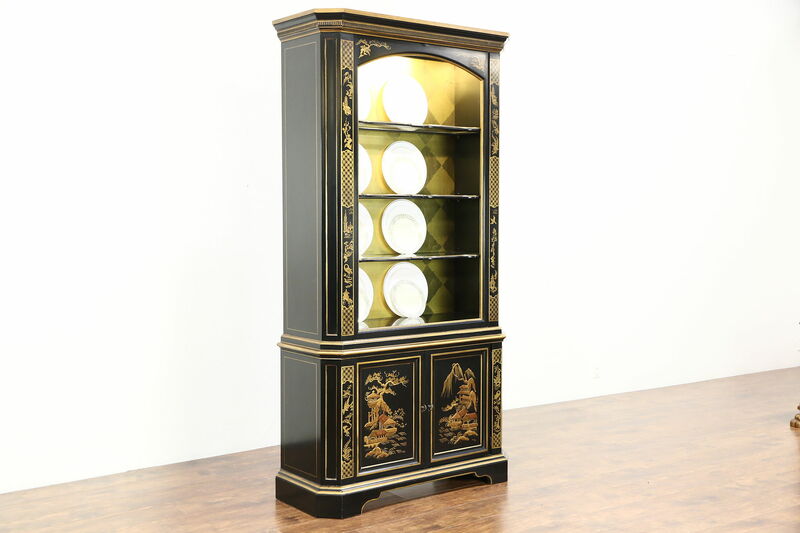 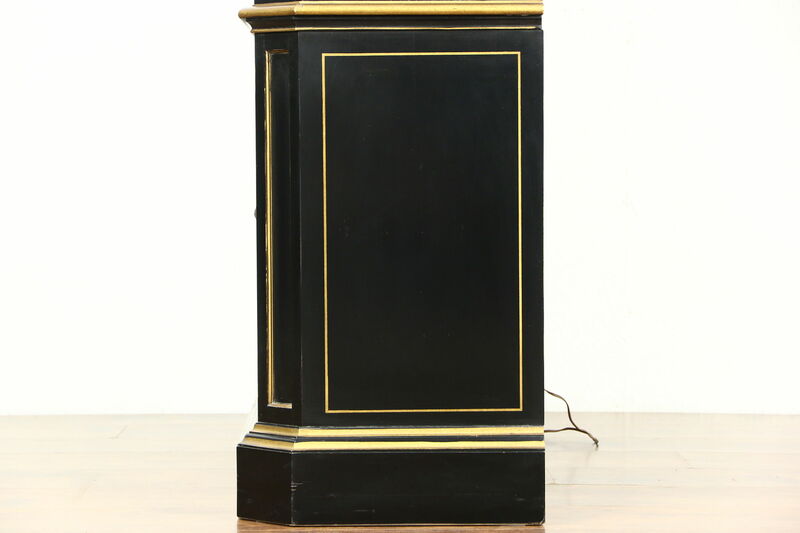 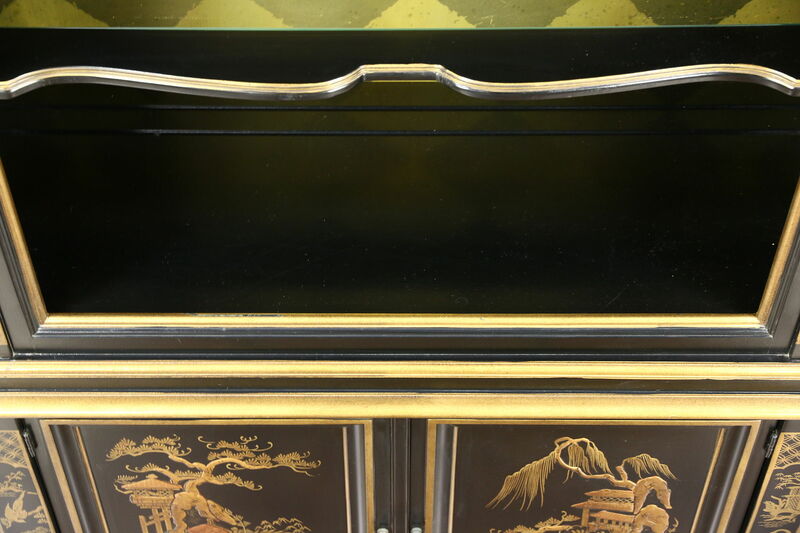 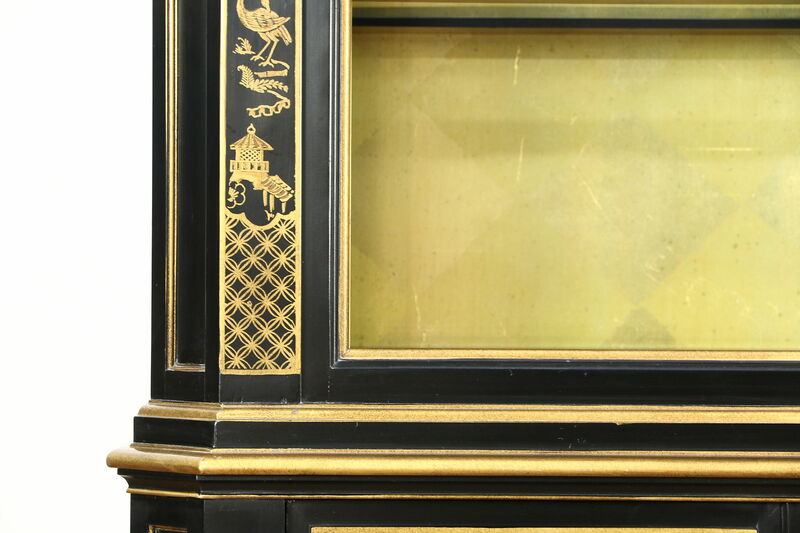 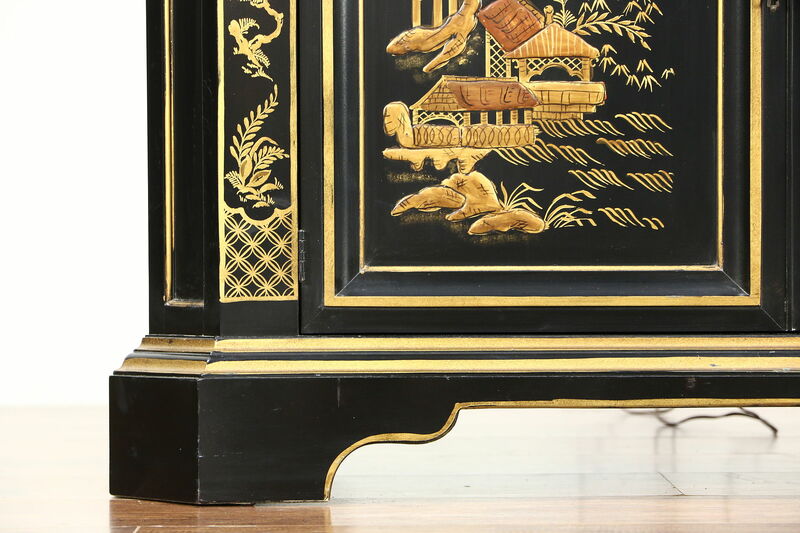 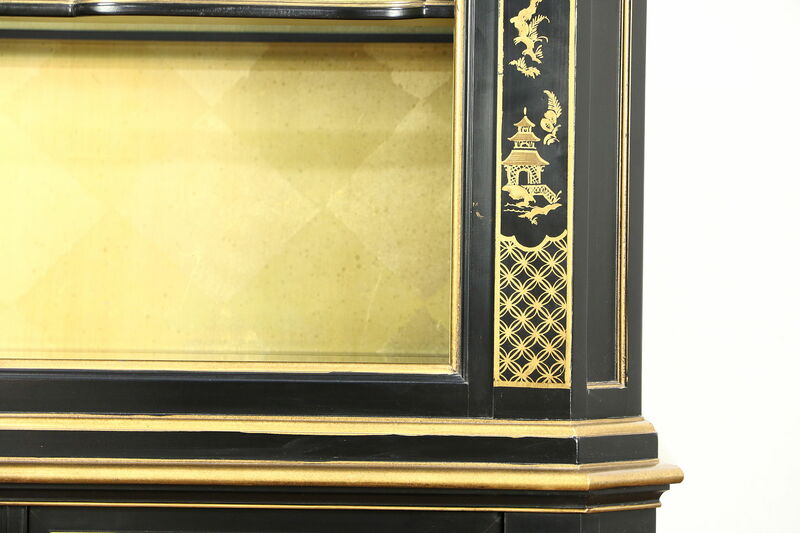 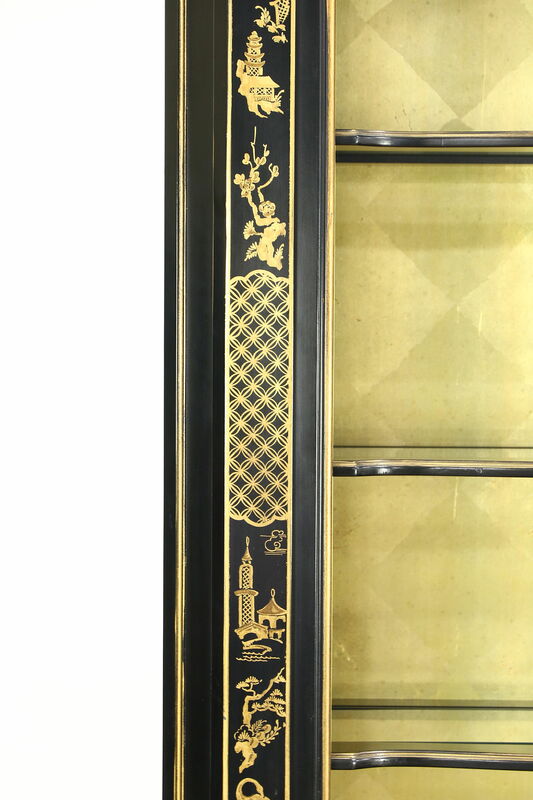 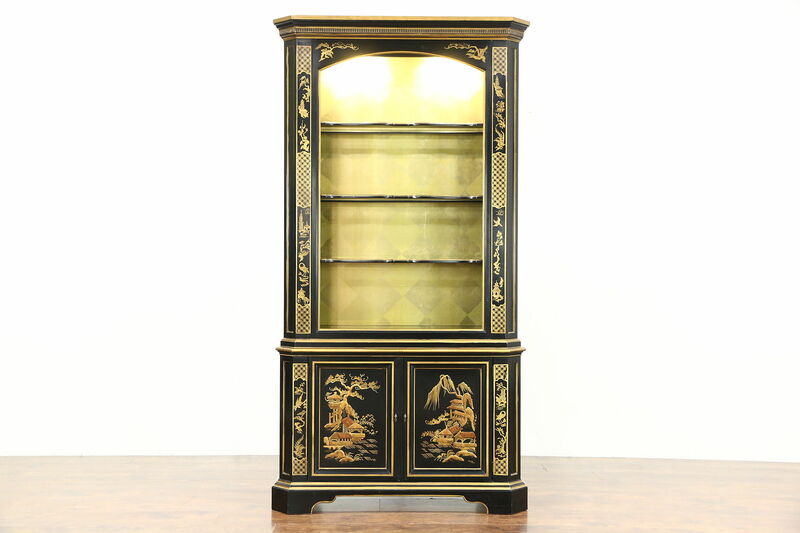 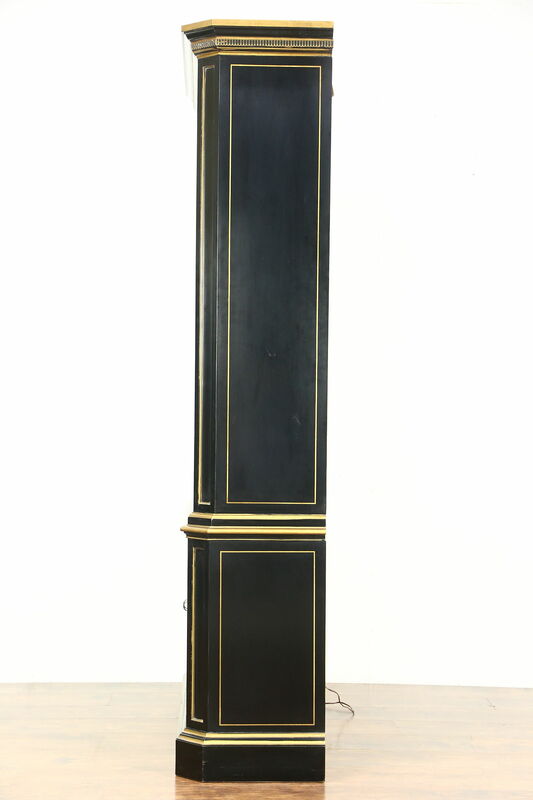 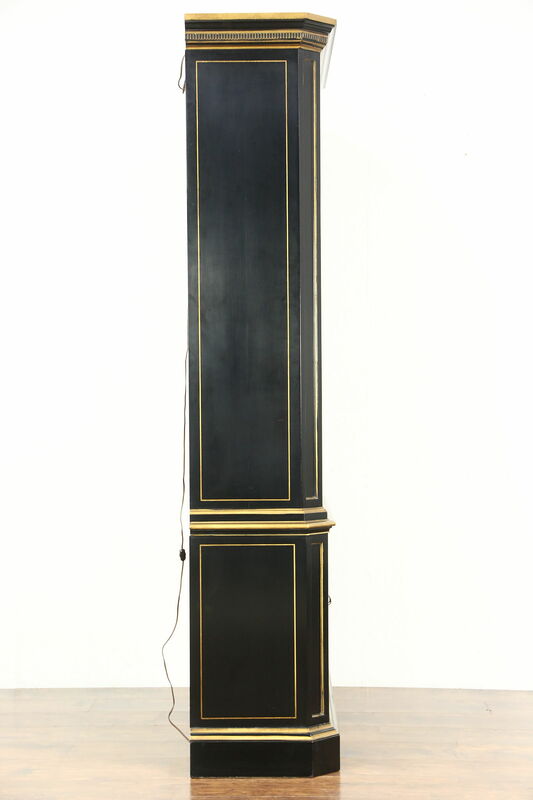 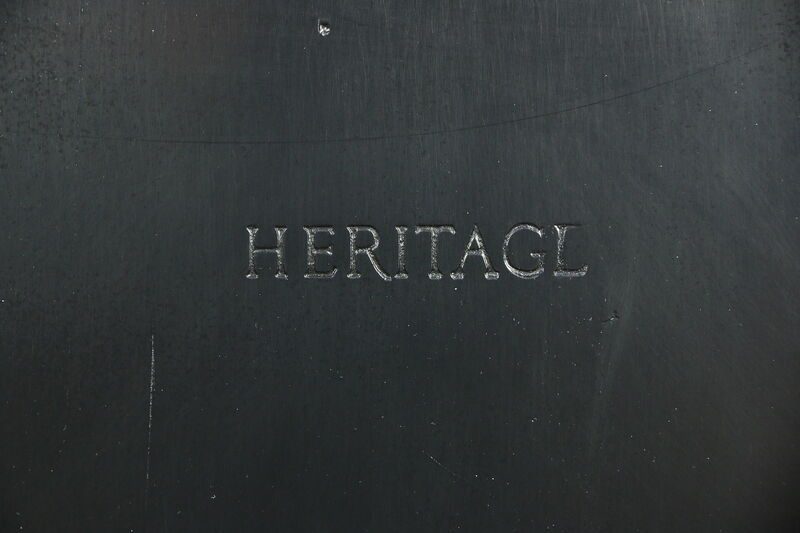 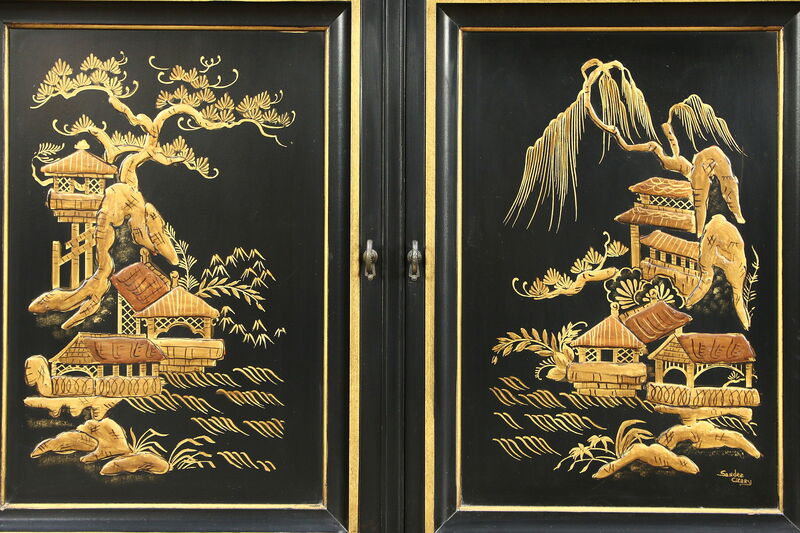 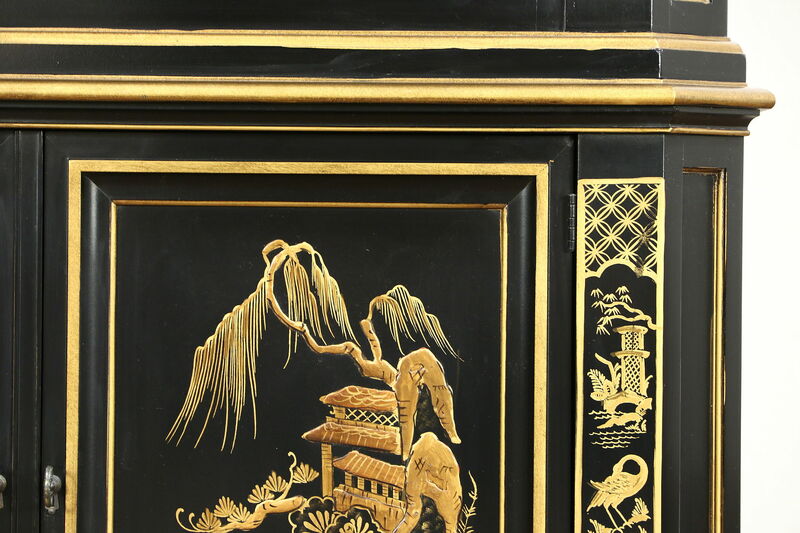 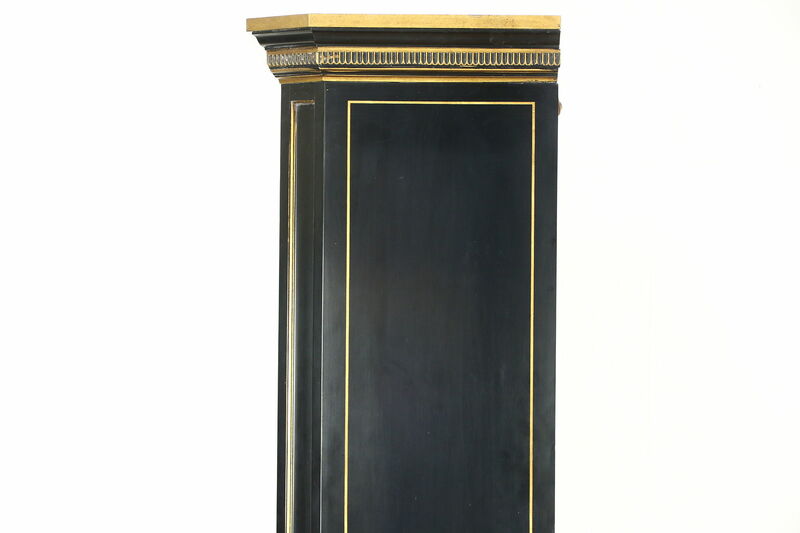 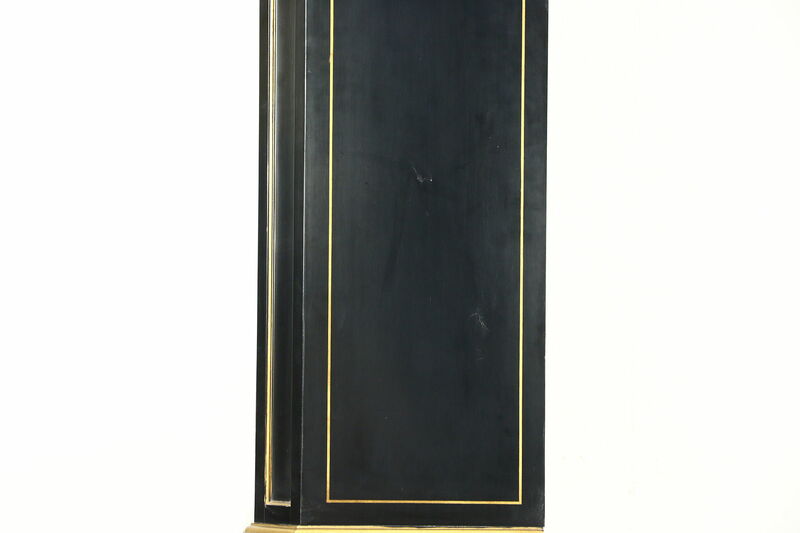 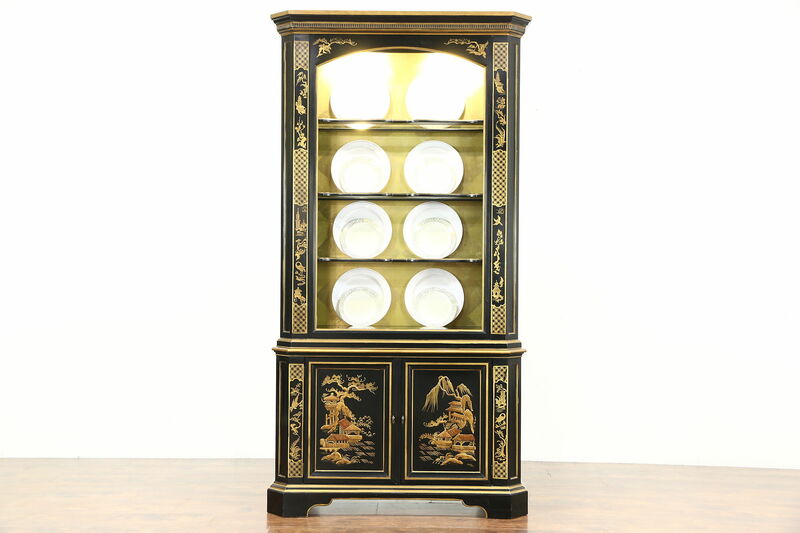 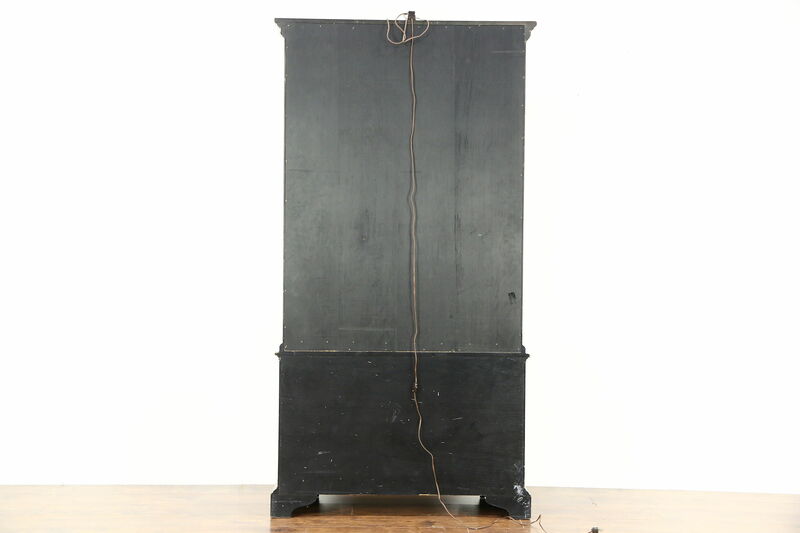 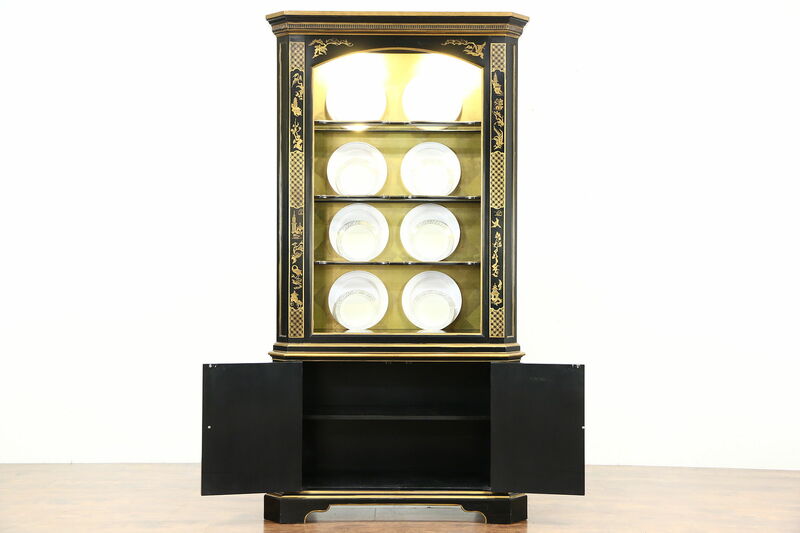 A black lacquer curio cabinet with traditional "Chinoiserie" painting dates from about 25 years ago, and is signed by noted maker, "Heritage." 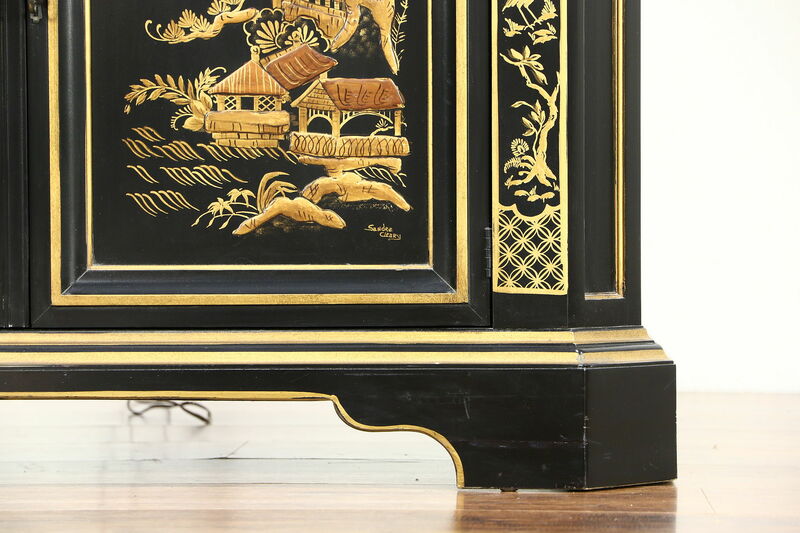 The original finish is in superb condition on this unsigned vintage furniture. 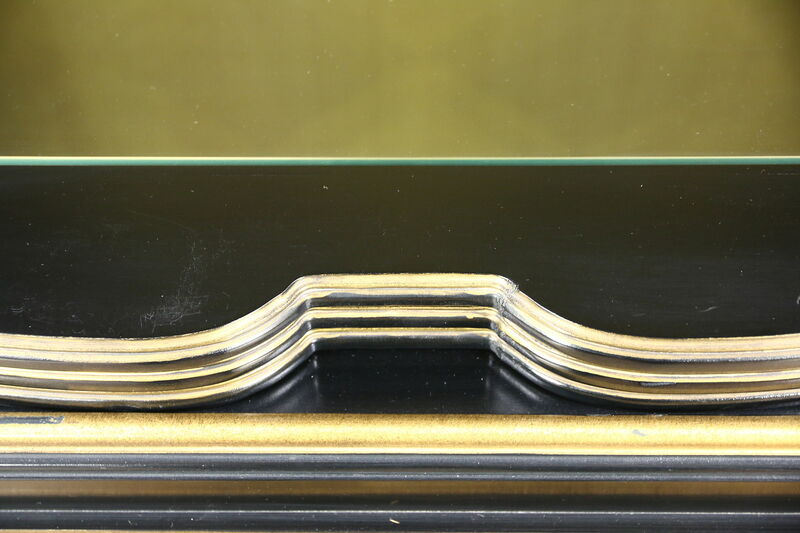 Adjustable shelves have grooves to display plates and glass inserts with a little scratching. 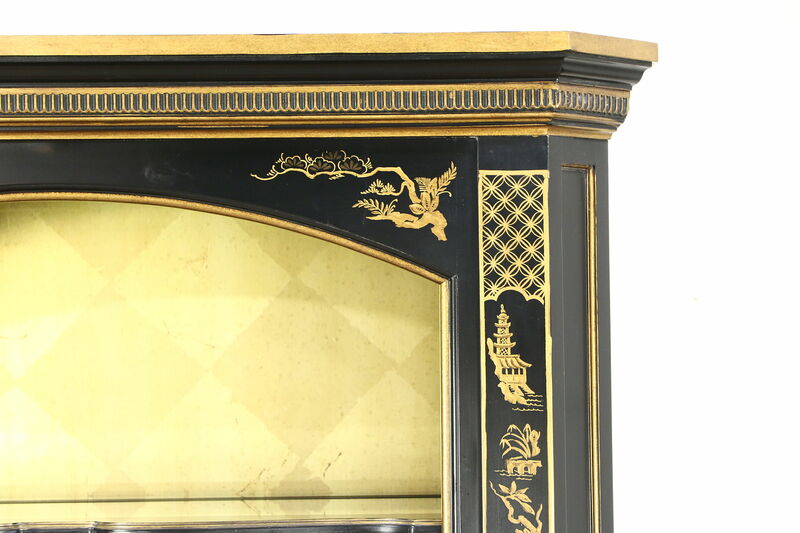 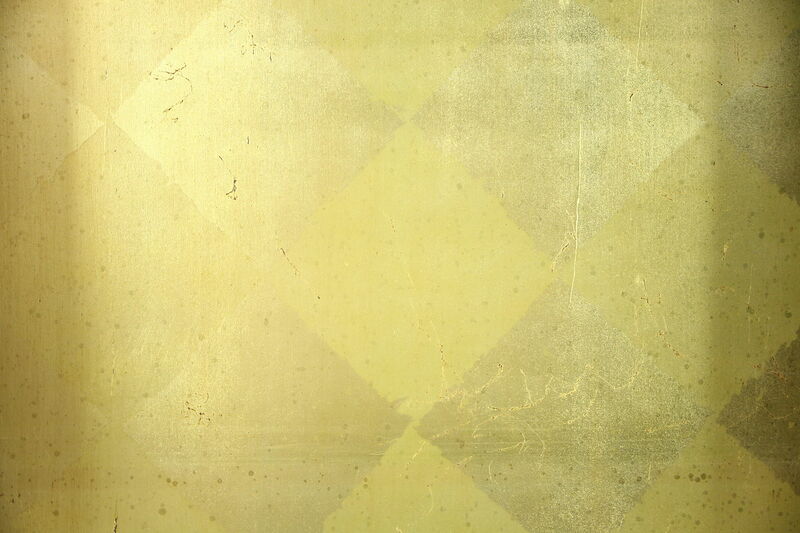 There are lights inside, the faux gold leaf back is delicately distressed. 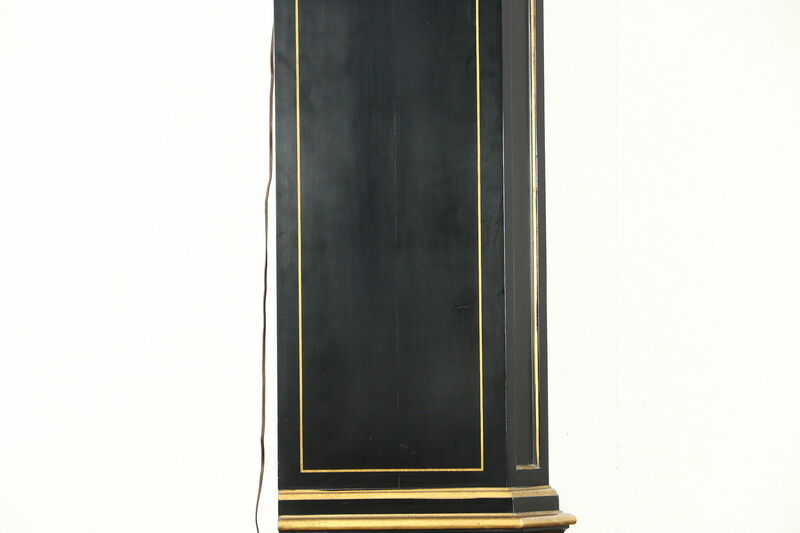 Measurements are 42" wide, 16" deep and 82 1/2" tall.